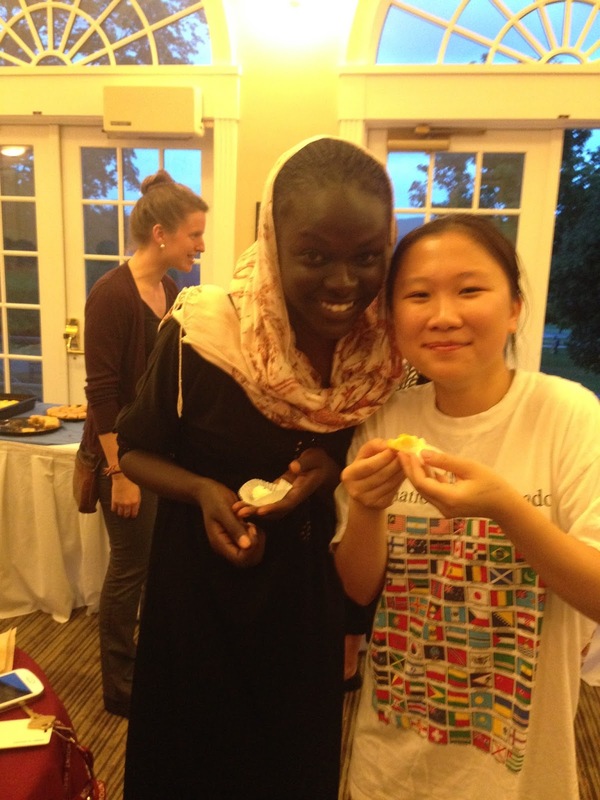 The International Dessert Night drew a crowd yesterday! Int'l students were able to reconnect with each other and the CIE Team over some delicious sweets ranging from apple-filled Churros to Baklava to Thai mango over coconut sticky rice and more! Int'l Ambassador, Miguel (right), with fellow students and new faculty member, Nyu Hoang (left). Students enjoying the mango over coconut sticky rice dessert! NMH faculty with International Student Program Coordinator and host, Ellen Bitzer (second from left).